Recently, I have become a huge fan of making frittatas. Not only is the technique easy, you can easily swap out the veggies for whatever flavors you like. 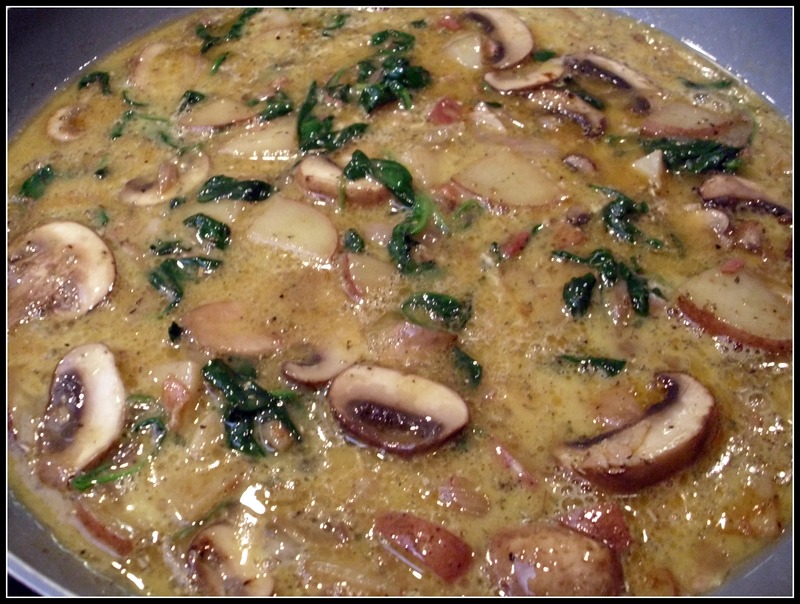 It starts on the stove top and finishes off under the broiler. I like to top the frittata with a small amount of cheese for flavor, texture and color. I love how it browns under the broiler! 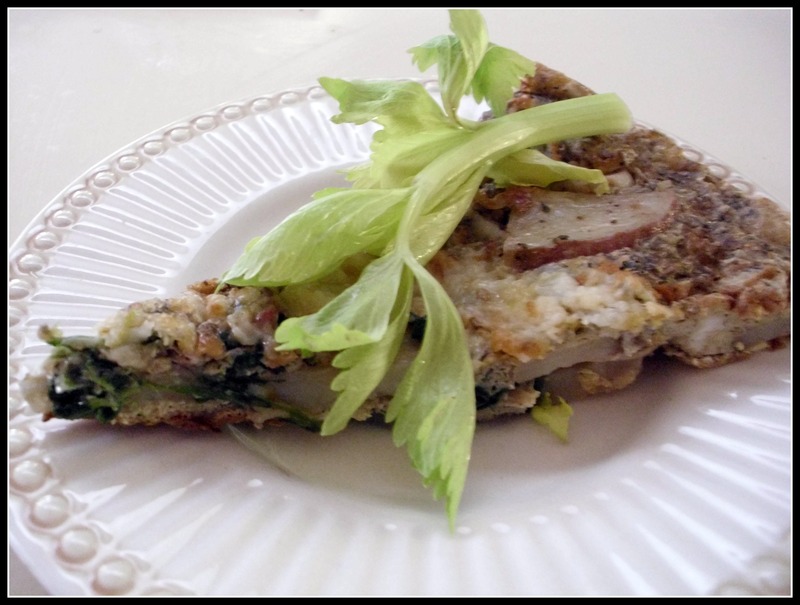 Serve with a nice salad and you are set for a nice brunch or dinner entrée. Add eggs, herb blend, salt and pepper to a large bowl. Whisk to combine. Set aside. Heat oven broiler to high. In a large frying pan (that is oven-proof), melt butter with olive oil over medium-high heat. 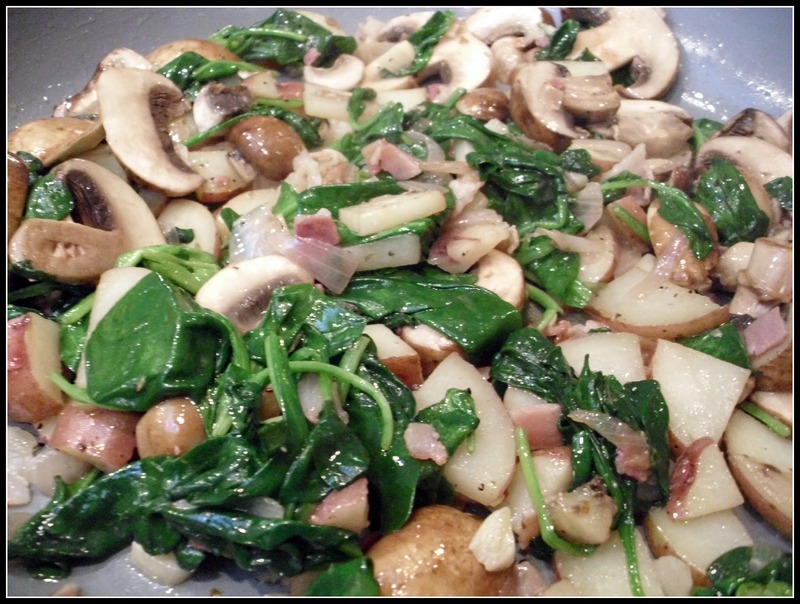 Sauté pancetta, potatoes, and onions until veggies tender (about 5 minutes). 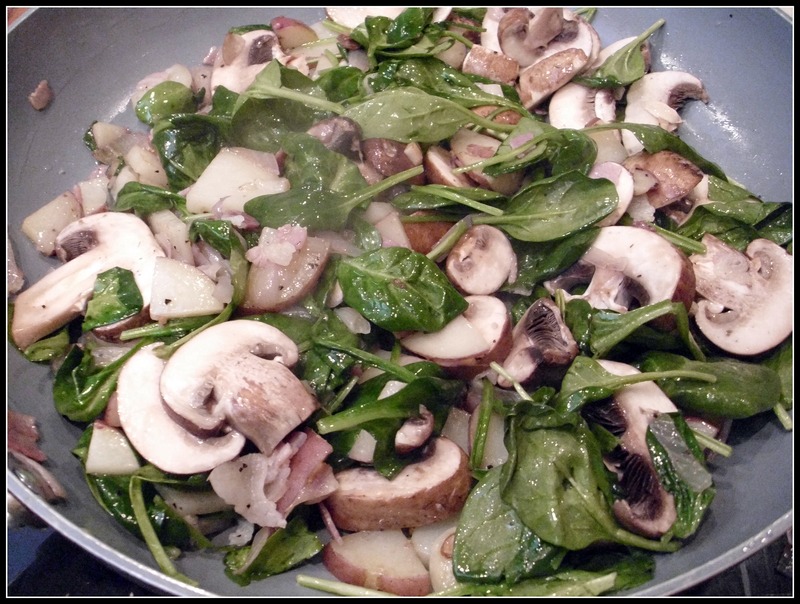 Add garlic, mushrooms, and spinach. Cook another 3-5 minutes until spinach has wilted. Season to taste salt, pepper and hot paprika. Pour egg mixture onto veggie mixture. Reduce heat to low and cook until edges or pan are firm (3-4 minutes). Place under the broiler for 3 minutes or until eggs are set and cheese is melted (and lightly browned). Thanks! It was really yummy too.